Millimeter-wave measurements in the V, E, W, F, D, G, J and Y band as well as network analysis in frequency ranges from 50 GHz to 500 GHz depending on the converter model. 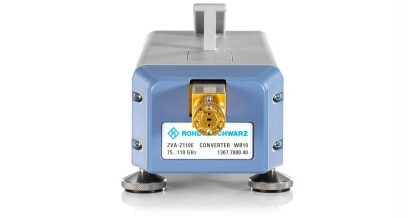 The R&S®ZVA-Zxx millimeter-wave converters allow millimeter-wave measurements in the V, E, W, F, D, G, J and Y band as well as network analysis in frequency ranges from 50 GHz to 500 GHz depending on the converter model. Featuring a wide dynamic range, the Rohde & Schwarz converters offer high operating convenience and allow fast measurements. 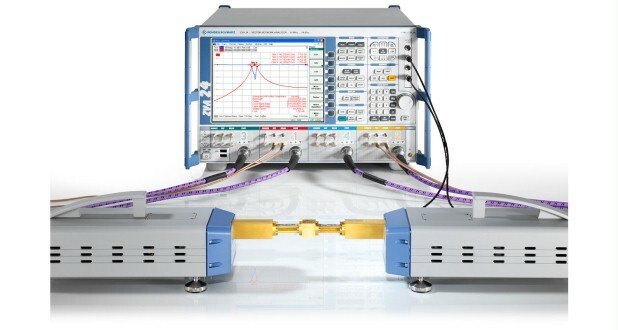 Two-port measurements can be performed using a four-port network analyzer and two converters; no external generator is required. When using a two-port network analyzer, an external generator is needed to supply the LO signals. The R&S®ZVA allows the output power of the R&S®ZVA-Z110E converter to be reduced electronically by 25 dB. The output power of the R&S®ZVA-Z90 and R&S®ZVA-Z110 can be reduced by 70 dB via the RF input power reduction. 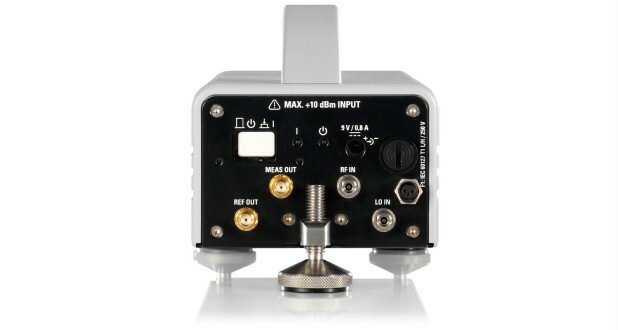 This allows power sweeps for compression measurements on amplifiers as well as power calibration. A control screw on top of the converters allows the power to be reduced by 40 dB with the R&S®ZVA-Z75/R&S®ZVA-Z110/R&S®ZVA-Z325/R&S®ZVA-Z500. This is a useful feature that can help to avoid overloading the device under test − when performing measurements on low-noise amplifiers, for example. And the output power can be electronically reduced by 25 dB with the R&S®ZVA-Z90E/R&S®ZVA-Z110E, thus allowing power sweeps for compression measurements on amplifiers as wel as power calibration. The R&S®ZVA-Z110 allows in addition an output power reduction of 70 dB by RF input power variation. The R&S®ZVA and R&S®ZVT firmware incorporates the ability to operate the Rohde & Schwarz converters using the R&S®ZVA-K8 converter control option. The network analyzer will automatically set the frequency limits to the correct frequency band and set the requisite parameters, based on the selected converter type. 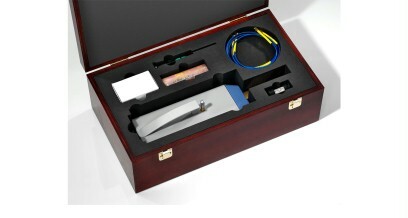 For calibration, the analyzer automatically offers the calibration kit appropriate for the selected frequency band. Moreover, the network analyzer protects the converters by limiting its output power to the converters’ coaxial inputs. For ease of use, the converters’ waveguide connectors are arranged on a bar extending from the converter. The screwed flange joints are easily accessible to facilitate calibration and connection of the DUT. The converters can be set up on three or four height-adjustable feet. Using three feet makes aligning the test port flange significantly easier. 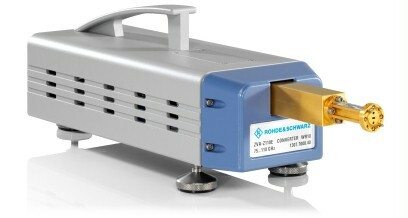 The converters contain no fans − an advantage in particle-sensitive environments in particular. The converters are supplied with test port adapters that allow them to be used with other manufacturers’ calibration kits and effectively protect the converters’ waveguide connectors against wear. Multiport devices such as couplers can be analyzed by using three or four converters. The setup can be based on an R&S®ZVA24, R&S®ZVA40, R&S®ZVA50 or R&S®ZVA67 plus an external R&S®SMF100A generator and one converter per test port. As an alternative, it is possible to use an R&S®ZVT20. The R&S®ZVT20 (six-port configuration) with its three internal signal sources allows up to four converters to be connected without requiring an external signal generator. The R&S®ZVA-Z90/R&S®ZVA-Z110 and the R&S®ZVA-Z110E are ideal for generating true differential signals (true differential mode). The converters are also suitable for pulsed mode operation − to characterize pulsed amplifiers, for example. This applies to both measurements versus frequency (average pulse and point-in-pulse) and pulse profile measurements.